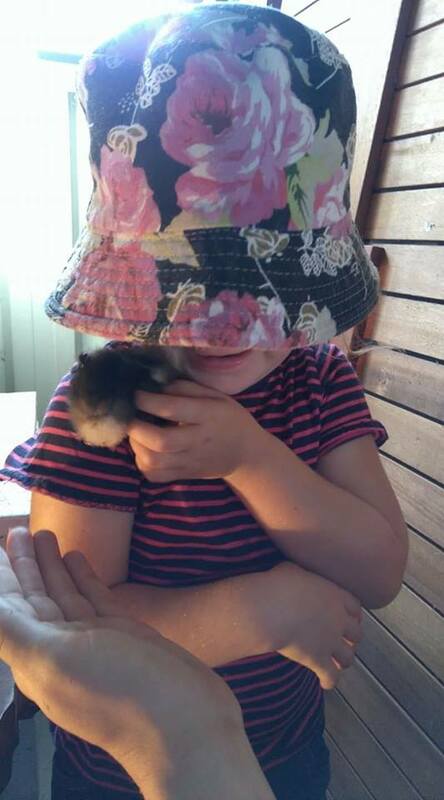 So we have kept chickens for a number of years now; even before we began our smallholding here at Maes-y-Delyn. However this has probably been our longest length of time we have seen with the least number of eggs. Chickens ‘not producing’ is a common concern for owners. And we are often asked about our egg numbers; though this discussion generally occurs during winter, when the days are shorter and the nights are colder (yes I guess Queensland chickens are acclimatised too). Though the truth is, there are many and varied reasons why your flock maybe 'eggless'. For the most part we have been patiently waiting for most of our flocks to come of age. It is worth noting that age maybe breed dependent. Whilst the average age for a pullet (young chicken, pre-laying) to begin laying is approx 18-20 weeks. This may however be as late as 8 months for some breeds. And whilst older birds will produce eggs less frequently, this again is breed dependant; as some will lay well, well into old age- such as our Indian Game girls- although these do not lay that well to begin with! Some of our older girls (4-5 years), so do lay more sporadically. The weather has been a HUGE factor this year; those that should have been laying seem to have been affected by Cyclone Debbie and since that we have had an indecisive winter. In that we have had a few cold days then it would be milder for a week or 2, then a few cold days/mornings again. And the other factor being their breed; each has their own features laying capacity is one. Now there are a number of old wives tales out there, that claim to get your flock laying. To be honest most I would take with a pinch of salt, others are just common sense or good practice. 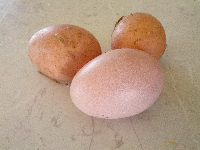 I will admit to attempting one toward the end of our recent egg drought; adding yoghurt laced with cayenne pepper to their feed, and by all accounts we did start getting eggs- though I am highly skeptical that the two events were exclusively related. As I said some are just good practice, yoghurt providing additional good digestive bacteria, as with humans and the cayenne pepper, as with any chillies variety being a natural wormer for chooks (though our flock are regularly wormed). And as I had some homemade yoghurt that smelled slightly sour following a few days away, I figured why not put it to good use. Feed or diet is often a contributing factor for an egg drought, albeit age, breed, weather (heat or cold), access to light (shorter days will reduce laying capacity), moulting (they need the rest to recover from this natural process). So if your truly concerned adjusting or varying diet can or may help… or is worth a try. Many claim switching feeds can help. Our feed make up is seasonal; as its locally produced (well from within the state at least) so changes in grain make up, though the protein percentage remains similar. So am not too sure of the science behind that claim, although we don’t like eating the same thing everyday, so I guess why would your chickens. I do however agree that stage specific feeds are a good idea, as the protein component and medications (if added) are appropriate for your birds stage and requirements (younger and pre-laying birds require a higher percentage of protein). 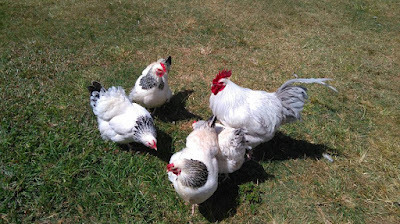 Many fail to realise that chickens are (or should be) natural foragers and this includes insects, amongst other meats. And they require protein to grow, develop and renew feathers etc. 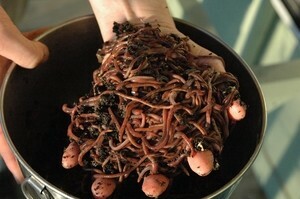 So upping their protein can really help; worms and sunflower seeds make great high protein treats. I’ve even heard of people feeding their chickens dog food. Necessary for producing hard egg shells (not flimsy, soft ones). So access to plenty of leafy greens and shell grit. Yes they will eat their own shells, just I’d advise crushing them (this is easier if dried). This way they don’t associate eating egg shell with eating their own eggs- as once they start they will not stop! Also yoghurt can make an interesting option as it provides both protein and calcium, with added benefits. Though I wouldn’t encourage this as a regular inclusion. As mentioned above, intestinal health will affect all aspects of your flocks ability to function. It’s all well and good providing good food, but they have to digest and ingest it. So regular worming is a must, whether this be through medication or natural dietary inclusions. We use both, for good measure. 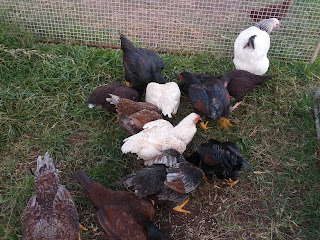 Anyway, back to our current flocks. At present, we are running 3 breeds; Sussex, Indian Game and Ross 308. Although, to be honest I am often reluctant to describe the Ross 308 as a breed, as I consider them more of a commercial hybrid. Although they have been that well established now their number s possibly outweigh most heritage or traditional breeds such as our Sussex and Indian Games. The Sussex are our laying flock. They are considered a dual purpose breed, as they are/can be quite large in stature and lay approx. 300 eggs per annum. Due to a few unfortunate incidents, our flock numbers depleted, meaning those we raised became replacements as opposed to supplement stock, and also meant we required a new rooster (as our previous boy would have been Dad to most of the girls). So this has been an interesting outcome, but we’ll come back to that. Our Indian Games are our heritage breed meat bird. This breed has been used to sire various commercial birds over generations. However they are in-frequent layers, laying up to 100 eggs per year (and possibly why they are rare) and do not fair well in confinement, however they are hardy and thrive in free range conditions. We generally have a clutch of eggs over a month – six weeks that we incubate ,with the occasional free range nester- 3 times per year, and they generally lay around July-August. So this year’s cycle appear to have been upset by the weather, with a few of our girls laying their first eggs over the weekend. The Ross 308’s are a trial that we acquired as day old chicks in December last year. So whilst most migrated to the table (or freezer) whilst the 4 remaining girls and separately sourced rooster have been kept for breeding. I always said we would never keep boilers again, due to our previous experience. However these were supposed to be the ‘parent flock’ so lighter, slower growing and reasonably good egg layers- the broilers we have had in the past could not/ would not have made it to laying age! So we are trailing them as table birds; as our excess Indian Games make fantastic table birds, but we never produce enough of them. Since laying began, they are now producing 1-3 eggs per day (from 4 hens), the greatest issue with incubating has been the frequency of ‘double yolkers’… these eggs are massive! And whilst they are fantastic for eating/cooking purposes, they are not great for incubating purposes; as if one yolk is fertile then the other becomes rotten, and if both are fertile then they stop developing, presumably due to insufficient room or nutrients. So, so far the incubators have been running for roughly a month. 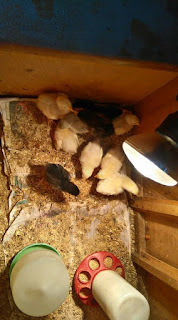 We have 24 chicks, mostly Sussex with a couple of 308’s. The Sussex had surprising, or possibly unsurprising genetic results. As I said we needed to replace our rooster. So we managed to source a ‘Coronation’ Sussex, as we currently have light and coronation hens. However the rooster appeared to have too much colour to be a Coronation, although also too much white to be a ‘Platinum/lavender’. But I think it’s safe to say he’s the latter given the mix of lights, silver and platinum chicks that we have hatched! Not that that’s an issue for us, as its still the same breed, just another interesting colour addition to our flock. OK so I’ll quickly go over my reasoning, as genetics is a funny thing! I have a grasp of the Indian Game colouring combinations, and am trying to grasp the Sussex, so am doing my best (please feel free to contribute if you have experience with this). 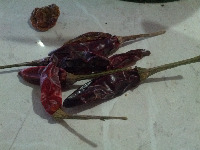 As for our other breeds, we will hopefully we will hatch a few more 308’s and now Indian Games over coming weeks. Though we did have an equipment malfunction with one of our incubators faltering this week. Meaning the eggs fell below temperature overnight, so am not hopeful for the few 308 eggs that were due to hatch this week. Am just waiting to candle the Sussex eggs that we’d set in there the day before, as it takes 48hours before they begin to develop, so the temperature loss shouldn’t be any different to being at room temperature, if they hadn’t started… so only time will tell. But for the moment we are monitoring this piece of equipment with extra scrutiny as we cannot afford to miss the Indian season! As far as equipment goes we now operate 2 incubators, both require manual turning, so nothing specifically fancy. Am not going to go into equipment reviews now, though we have borrowed automated incubators in the past and found that they were less successful for us; though this is our personal experience and others would say otherwise. The hand on approach works for us, as manually turning them twice a day means we also check the temperatures and water levels regularly and was how we were able to identify the recent malfunction. Am just grateful the majority of the egg we had set were in the other incubator. The few eggs that had progressed that were in there, had been separated for hatching. 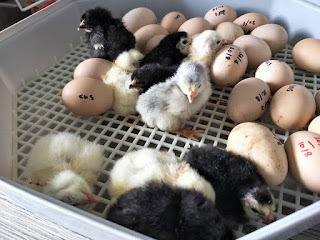 I have also heard some breeder who produce multiple breeds claim that the number of times an egg requires turning varies from breed to breed; therefore they only use manual incubators.